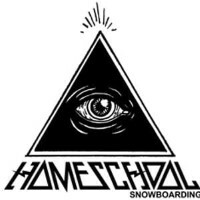 The Hiefield Scholarship is a complimentary season pass to Mt Hood Meadows from the generous Hiefield Family. Two passes are awarded each year along with a few Mt Hood Meadows gift cards. Attorney Preston C. Hiefield Jr., as a director of the developer of the Mt. Hood Meadows Ski area, was allowed two lifetime ski passes at Mt. Hood Meadows. The Hiefield family enjoyed Mt. Hood Meadows over the years and wanted to share their experience with others. The Hiefield children, Julie Hiefield, Preston C. Hiefield III, Matthew Hiefield and John Hiefield, suggested that the lifetime passes be awarded to worthy scholars interested in winter sport activities. Thus the Hiefield Family Scholarship was initiated with the OISA and should happily continue during Mr. Hiefield’s lifetime. RETURN COMPLETED APPLICATIONS TO JULIE HIEFIELD oisa.scholarship@gmail.com BY midnight on OCTOBER 31st.